A selection of images from Flickr, to remember the day. 2. 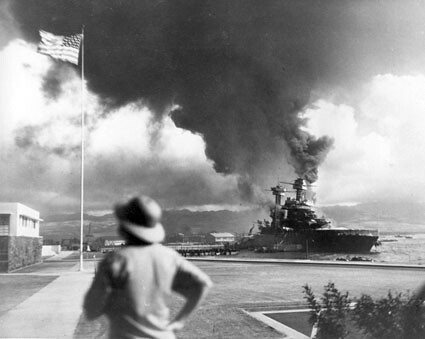 Pearl Harbor, originally uploaded by spaz_writer999. Pearl Harbor 141, originally uploaded by savage_man_2003. Pearl Harbor 138, originally uploaded by savage_man_2003. 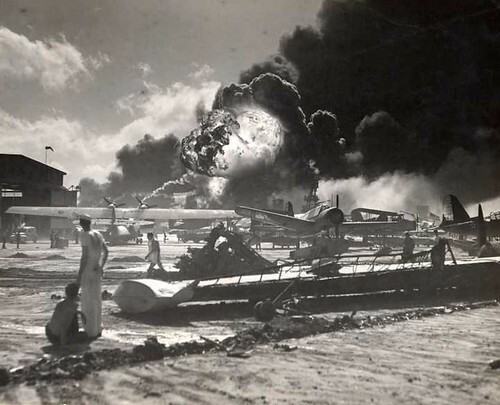 Pearl Harbor 135, originally uploaded by savage_man_2003. 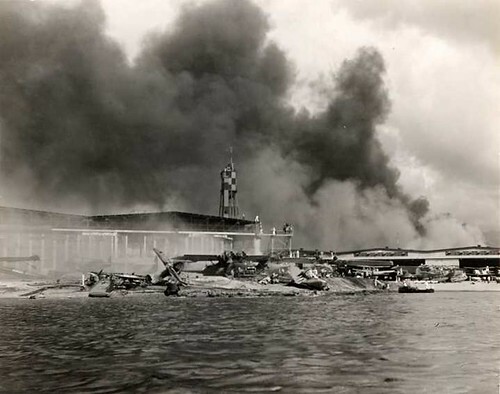 Pearl Harbor 120, originally uploaded by savage_man_2003. I am not going to say much about the day, surely we all know what it is. 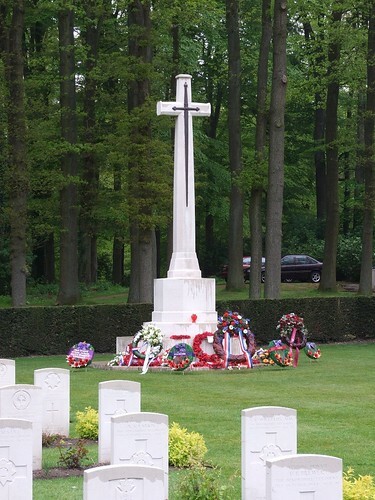 Suffice to say that I remember the thousands—and in particular 24 countrymen—on many more days than this one. I am not criticising anyone who posts remembrances, for it was a shocking day, but I feel the best course of action is not to pause, not to grieve; but to move forward toward victory. To expose the philosophical underpinnings of a dangerous and murderous ideology; to defeat those that promote it with the sword and the pen; to not (as the Flea puts it) let the mote in our eye obscure the plank in the Taliban’s eye. By all means, remember the fallen. First and foremost, remember to win. Capt. Bobby C. Wilks, USCG (Ret). Family photo. The Coast Guard’s first black aviator, Captain Bobby C. Wilks, passed away last month in Woodbridge, Virginia, at the age of 78. Captain Wilks joined the Coast Guard in 1955, got his wings in 57, and accrued some 6,000 hours of flight time in 18 different types of airframe (both fixed and rotary-wing). He also became the first black person to command a Coast Guard station. John “Bear” Moseley, who was in flight school with Capt. Wilks, remembered him as “a heck of a good stick” (a good pilot). Moseley recalled another near-miraculous open-sea landing that Capt. Wilks executed during summer 1963, when he was dispatched to evacuate a critically ill seaman from the destroyer USS Mills near Cay Sal Bank off Cuba. Capt. 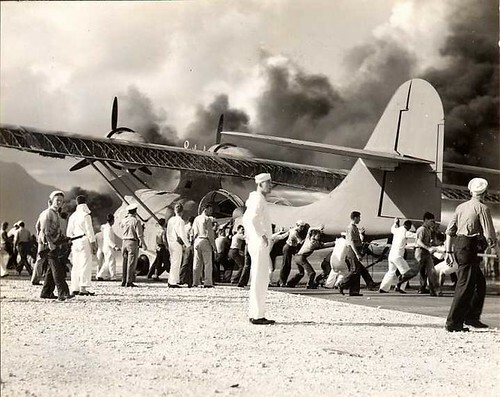 Wilks directed the Mills captain to increase his speed to 27 knots as a way of smoothing out the choppy waters so he could land his HU-16 Albatross, an amphibious flying boat, while taking care not to smash into the destroyer. He brought the plane down in the wake, got the patient aboard and took off, despite being unable to use jet boosters to help lift the plane out of the water. He basically “ballooned the aircraft into the air . 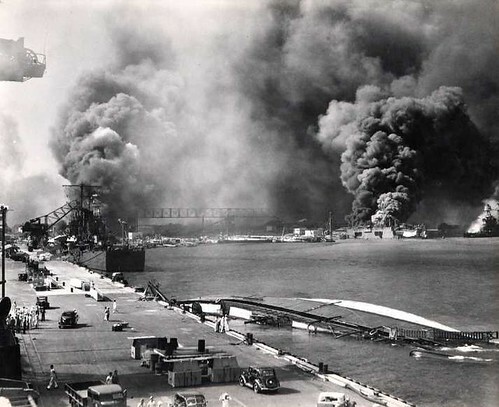 . . smacked the top of the next wave and then was airborne,” Moseley said, noting that then-Lt. Wilks immediately had to worry about banking the plane without stalling, so he wouldn’t hit the destroyer. If that doesn’t sound too amazing to you, let me explain. It’s a common misunderstanding that amphibians or flying boats can just put down wherever there is a thimble of water, including the open ocean, and it’s all very routine. Not so. These aircraft generally require sheltered water away from ocean swells—although they have boat-like hulls, they are not as hardy as boats of the non-flying variety. Large swells (not to mention surface debris) can take an amphibian hull apart. Remember that the plane’s own skin is smacking the surface of the waves at about 200mph when it touches down—like landing on bricks. So one generally wants the bricks to be as small and pleasant as possible. I have to give the man credit. His flying boat shows up, but it’s too choppy to land. Instead of turning around and going home, he has the destroyer captain drive at high speed and lands in the ship’s wake. Takes on his critically ill passenger, and takes off in the destroyer’s wake. That takes some guts and “outside the box” thinking. I also love that he had a silver DeLorean, like Emmet Brown. So long Captain, I wish I had heard about you while you were still alive. For our southern brothers, who remember their glorious dead. Golden Gate National Cemetery, from r o s e n d a h l‘s Flickr photostream. Image: Fence at Buchenwald, from Ralf Stockmann‘s Flickr photostream. I had meant to write something lengthy and thoughtful in recognition of the day, but once I started reviewing the imagery and anecdotes, my anger and horror at the scale of the extermination became overwhelming. Similar reactions occurred over a half-century ago when Allied commanders toured the Ohrduf forced labour camp, a sub-camp of the more famous Buchenwald facility. — Abzug, Robert H. (1985). Inside the Vicious Heart: Americans and the Liberation of Nazi Concentration Camps. New York: Oxford University Press, USA. p.27-30. I visited every nook and cranny of the camp because I felt it my duty to be in a position from then on to testify at first hand about these things in case there ever grew up at home the belief or assumption that “the stories of Nazi brutality were just propaganda.” Some members of the visiting party were unable to go through with the ordeal. I not only did so but as soon as I returned to Patton’s headquarters that evening I sent communications to both Washington and London, urging the two governments to send instantly to Germany a random group of newspaper editors and representative groups from the national legislatures. I felt that the evidence should be immediately placed before the American and British publics in a fashion that would leave no room for cynical doubt. — Eisenhower, Dwight D. (1948). Crusade in Europe. Garden City, New York: Doubleday & Company. p.409. Oh that our leaders would be blessed with such insight into human nature today. Twenty-first century cynicism now runs so deep that a significant number of people cannot accept even the positive events within living memory, like landing men on the moon. Even as they sit typing on a technological marvel whose raw computational power is a hundred thousand times greater than those that guided men from Cape Canaveral to the lunar surface. Small wonder that some now cannot be moved by words and images of an incomprehensible horror, now several generations distant. Not one of the high-throughput extermination camps, Buchenwald was reported to have “only” a 24% date rate (or 56,545 persons) amongst the 238,380 prisoners who passed through its gates. It would continue to maintain that rate of attrition under its new Soviet masters, who rechristened it “Special Camp No. 2” and continued to operate it until 1950. From 1945 to 1950, a further 7,113 individuals (of the 28,455 held there) perished during Soviet internment. Remember that the next time you see some moral defective wandering about with communist iconography on his shirt. So do not be lulled into complacency by thinking that the defeat of Nazi Germany means a permanent retreat from the worst depths of human barbarism. Human evil always finds a way of perpetuating (and even outdoing) itself. Now that many nations have much more destructive nuclear, biological and chemical tools at their disposal, and a significant concentration of Jews continues to abide in their ancient homeland, the temptation for Jew-haters to strike will only and ever increase. Regrettably, the gulf between saying “never again” and acting to prevent another “again” is widening by the day. Today’s Jewry face opponents who will not be ashamed of the killing; indeed, they revel in the thought. A man who is on record calling for the extermination of the Jewish homeland on numerous occasions is on the threshold of developing mankind’s most destructive weapon. Meanwhile, an enormous international military coalition works and lives next door, but no one orders them across the line. Thankfully, I do not believe that anyone will ever succeed in removing Jews or Israel from this planet. But I do believe we will see them try, within my lifetime. And the attempt will be much more gruesome, devastating and all-encompassing than the last one. The best villain Star Trek ever had, and by all accounts, a prince of a man universally liked by his peers. Rest in peace. The 24 ordinary Canadians slaughtered while doing their ordinary, everyday jobs. Nihil curo de ista tua stulta superstitione: There is always a reckoning.